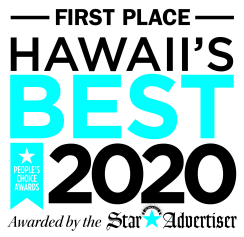 As a 2006 Distinguished Sales and Marketing Award recipient, and with over 30 years of experience in the Hawaii travel industry working for American Hawaii Cruises, Sheraton Makaha Resort & Country Club, Starwood Hotels & Resorts Waikiki who managed the Sheraton Waikiki, Royal Hawaiian Hotel, the Moana Surfrider, A Westin Resort & Spa and the Sheraton Princess Ka’iulani Hotel, and most recently as Vice President of Citywide Sales and Marketing for the Hawai’i Convention Center, Vickie brings with her to The Plaza Assisted Living family a wealth of experience and knowledge in sales and marketing, a field in which she thrives and is most passionate about. A graduate of Wai’anae High School and having attended the University of Hawai’i at Manoa and Leeward Community College before deciding to instead pursue her hotel career, Vickie still resides on the Leeward Coast, living in Makaha Valley and enjoys spending her free time with her husband Frank and Old English Bulldog, Lola. She also enjoys reading, walking on Saturday mornings with her Dad Cranston, yoga, pilates, fitness classes, meditating, traveling, entertaining family and friends at home as well as great Japanese and Italian food.